WordPress Seo – How To? I have recently been asked how to get your wordpress seo optimized. While the video I am going to share with you I did on a blog I actually changed up a bit. The video still talks about how to get your pages indexed. I did this video for members of my New Plan Network Team. I am frequently looking around the internet at different blogs, I can’t tell you how many blogs I find that the writer just adds a post and doesn’t space out the text, add pictures or even put the post in categories. All these things are very important if you wish to have the appearance of someone who knows what they are talking about.Â The worse offense though is not using categories. Take the time before you start writing in your blog to think about what keywords and phrases you want to get ranked for. The keywords you come up with should also be the categories you use. There are few other things you can do to optimize your wordpress correctly that are very easy to implement. If you haven’t yet now is a good time to change your permalink structure. 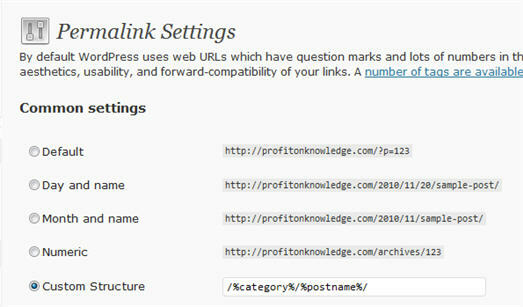 Once you are there you want to change the structure of your permalinks like this. So now you have some basic wordpress seo information you can use on your blog. If you found this post helpful leave a comment and let me know. OR better yet how about helping a boy out and sharing it! Even if you don’t have anything at all to say leave a comment anyways and let me know that you are breathing! What has been your experience with wordpress seo? I have bought a gazillion and 1 products online over the years. All of the products have always claimed to do this that or another.Â I can honestly say that 90% of the time the hype is greater than the actual product. This isn’t the case with SeoPressorÂ A new wordpress plugin by Daniel Tan. I am more than delighted to do this SeoPressor Review this is really one of the few products that actually does what it claims to do. This guy really knows his stuff. I mean the results I am having after a just a month of usage is staggering to say the least. I made this video to show you my traffic stats for the month of august. I bought the SeoPressor plugin at the beginning of august. SeoPressor Review -How Does ItÂ Work? We are talking total ease of use. I have seen other seo products on the market, and to be honest with you, this is one of the few products that totally dummies down SEO for your wordpress blog I couldn’t believe how easy it is to really optimize your blog post and pages for search engines. The plugin basically looks at your post and your chosen keyword or phrase and it tells you exactly what you need to change in order to get a better quality score. It really is a total no brainer. Just do what the software tells you to do. It really is that simple. 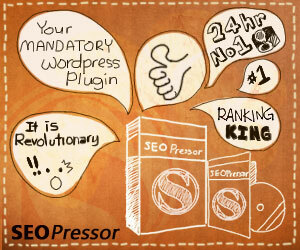 SeoPressor Review – Will This Work For Me? I have been blogging now for a while.Â I didn’t think my seo skills where that bad.Â Uh Ya! Apparently I had no idea how to optimize my blog post to get ranked better.Â There isn’t any mumbo jumbo techy stuff involved here. It is simply a matter of doing what the software says to do. I honestly feel that if you use this plugin the onlyÂ reason why you wouldn’t see an increase in your traffic is because you picked the wrong keywords. This concludes my SeoPressor Review. How Many Widgets Do You Use In WordPress? I noticed that my blog was loading slow. I have a confession, I really am lazy I noticed it slowing down as soon as I installed the MyBlog Log Widget and google friends widget. Its to bad, I really liked showing those, but I can tell that my blog is running smoother without them. I imagine if I keep taking stuff off of my sidebar my blog will run smoother.Â I have been working on improving my blog skills lately. The more research I do online, the more I am thinking I better get the load times down. Do To Many Widgets Turn People Off? I really would love to know your opinion on this one. I like to see lots of widgets on someones blog, but I have read that lots of people like the minimalist approach. Widgets are those side thingies over there on the right hand side. They let you add things like your twitter account, facebook account and other social networks into your blog. 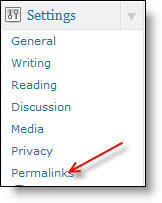 You can also put rss feeds over there to keep your blog fresh with new content. The only problem is the more you use the slower your blog will load. That is a bad thing. The moral of the story is choose your widgets carefully. What prompted me to change my sidebars? Unfortunately I was checking out my Alexa rankings and was very pleased with the growth I am seeing. However I saw this big fat message at the bottom of all my stats. So I had to make some decisions about what to do about that. The culprit for me were all the plugins and widgets I use on this site.Â I will keep the face book widget up for a while and I took off some other widgets so in a few weeks I will revisit this issue and see if my speed has improved. I did some testing and it seems to load 2 seconds faster. So do you like more widgets or less widgets when you visit a blog? WordPress Vs Blogger – Which Is Best? This battle has been raging for years.Â First if you are network marketing or affiliate marketing you absolutely can not use a free WordPress blog it goes against their terms of service. 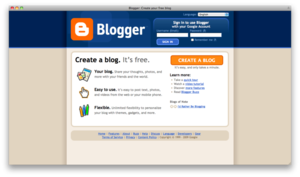 –> If you are going to stick with a free service you are going to have to use blogger. With that being said the best type of blog to use for your multi – level marketing business is a self-hosted WordPress blogging plate form. I think I can guestimate this -> Most marketers on the internet prefer a self – hosted wordpress over blogger. After using both types of blogs I can say that wordpress offers much more features than blogger does.Â Since wordpress uses open source code new plugins come out regularly. On this blog I use several plugins that really have helped me increase traffic like for example The Related Websites plugin which btw if you haven’t started using this plugin I highly recommend that you do. Check out that website-> HERE This plugin will help you drive quality traffic to your site. There are some advantages to using blogger , the one I can think of off the top of my head is the fact that google owns blogger. So your site is likely to get indexed a bit faster. TheÂ main reason I would go with wordpress is because it is a free open source plate form and developers are constantly improving it. Keep in mind that whatever niche you are in you need to keep all of the steps focused on that niche. Connect all the pages together -> Link all your sites to your wordpress blog but don’t link back.Â You will find doing that alone will get you indexed quickly. This just means that you are now on the map , some people I have spoke with haven’t been able to get their site indexed in months.Â If you apply the short cut I just gave you, chances are you will get indexed in less than a week many times less than a day. Snarky Girls Ep 18 – WordPress, TypePad or Blogger? there are too many great host of blog that available such as TypePad, Live Journal and Blog. but most of people use Blogger and WordPress. Blogger vs. WordPress – and WordPress is the winner!! It doesn’t really matter which type of blog you use, the bottom line is you should use a blog. I think most people are looking for a shoestring answer when it comes to starting a home based business.Â Using a blog is the perfect entry point for newbies, through blogging you will learn many skills that will aid you in the growth of your overall business.Â With all that being said I am sure the debate WordPress Vs Blogger will continue indefinitely. If there is one tool above all other tools that you need to use to create success in your network marketing business is a blog.Â I know many people are intimidated by the very thought of having to start a blog.Â The main reason why people neglect using this tool is because they feel they have nothing to say or they have not achieved a high enough level of success to start one. This is the furthest thing from the truth.Â Blogs are used to share information about your products and they are a way for people to get to know you better. People don’t like doing business with strangers using a blog is a really good way to brand you as the person they should be doing business with. Tell stories,Â I once listen to Jim Rohn talk about being a good story teller. People can identify with stories. A good blogger will spend some time doing research and finding the good stories… If you have already started bringing people into your business listen to what they have to say.. Listen to what your upline has to say.. Another trait of a good blogger is being able to gather useful information for your readers.. 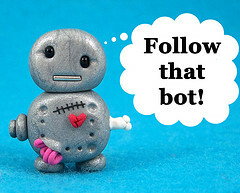 HOT TIP – a great way to get readers for your blog is by connecting your rss feed to your autoresponder. Its like getting instant traffic and its another way for you to utilize the list you are creating for your business. 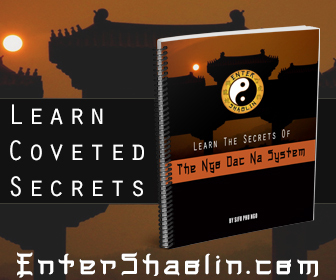 There is a bunch of information online on “how” to blog, real success in the network marketing industry is being able to communicate what you learn to others.Â The easiest and most effective way to do that is through your network marketing blog. More Stuff Around The Web..